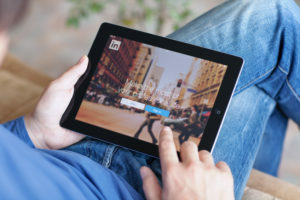 As you likely know, LinkedIn is a great tool for connecting with your network – however, the social media platform also offers another feature that many don’t take full advantage of. LinkedIn Groups are a fantastic way to get involved with our industry online, and, lucky for us, there are a ton of groups dedicated to safety professionals. Not only do these forums give us the opportunity to connect with like-minded people in our sector, but they also allow us to stay up to date on what’s trending in the world of safety. This group is dedicated to developing and seeking EHSQ solutions. From safety and loss prevention to laws and regulations, this group has over 85,000 members working towards preventing accidents and minimizing the impact to people, the environment and property. This smaller group works towards reducing and eliminating workplace injuries and fatalities. The tight-knit network shares ideas, job opportunities and legal discussions regarding workplace safety. Develop your understanding of safe work practices and techniques in and around confined spaces with this group of dedicated professionals. Common topics discussed in this group include products and equipment, identifying hazards, risk assessment, legislation and permit systems. Discuss best practices, new technologies, learning opportunities and legislation pertinent to our unique Canadian safety sector. Converge, connect and stay in the know. This huge group of over 225,000 members brings insights and expertise surrounding the mining industry from around the world. From Mining Engineers to HR & Recruitment Specialists and every role in between, this group is always posting about the latest news and updates in the mining industry. Each group is a space dedicated to the unique safety sector, and you can learn a lot from your peers. Join in conversations, ask questions and have fun! Are you following us on LinkedIn? If not, be sure to! We have great content posted each week to keep you connected to the world of safety.